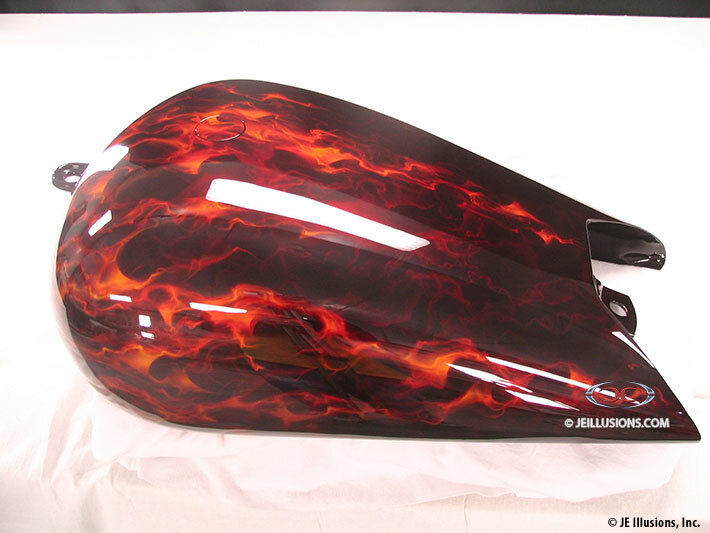 Very detailed, airbrushed realistic flames engulf this paint job. Flames are in layers, adding depth and action while creating a very visual effect. 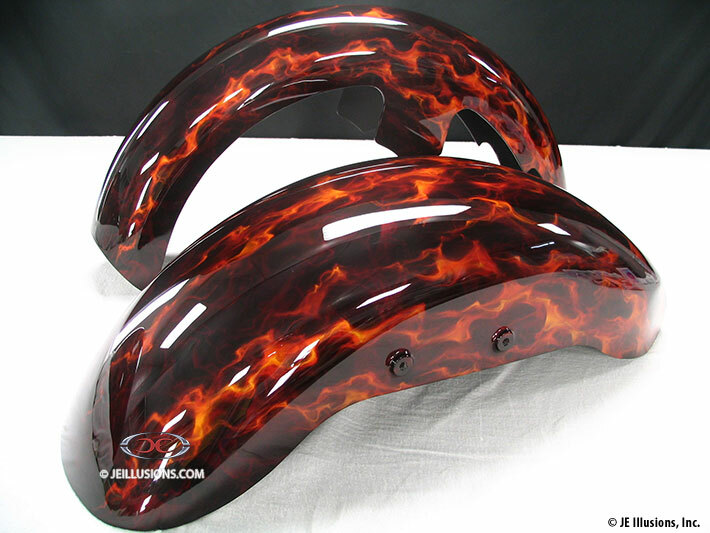 All of this is over a deep Brandy Wine airbrushed marbled undercoat, which completely enhances the flames even more.